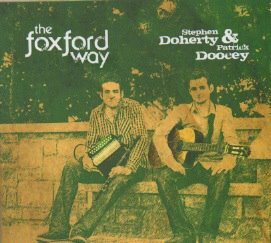 Stephen completed this duo recording with fellow foxford musician Patrick Doocey on guitar in summer 2012. The album was recorded at Sonas Studios in Killarney . The recording features Stephen on Flute, Whistle, Accordion, Percussion and Keyboards and also features Kevin Doherty on double bass. You can purchase the CD at Downtown Records Castlebar and Westport Co.Mayo or directly from the website here.